Learn about NBA superstar Kevin Durant in this book in a nonfiction series about your favorite athletes’ childhoods and what (or who) helped them become the stars they are today! He’s 6’ 9” with a wingspan of 7’ 5”, and everyone knows him as KD. He’s a two-time NBA champ, two-time Finals MVP, and four-time Scoring Champ. 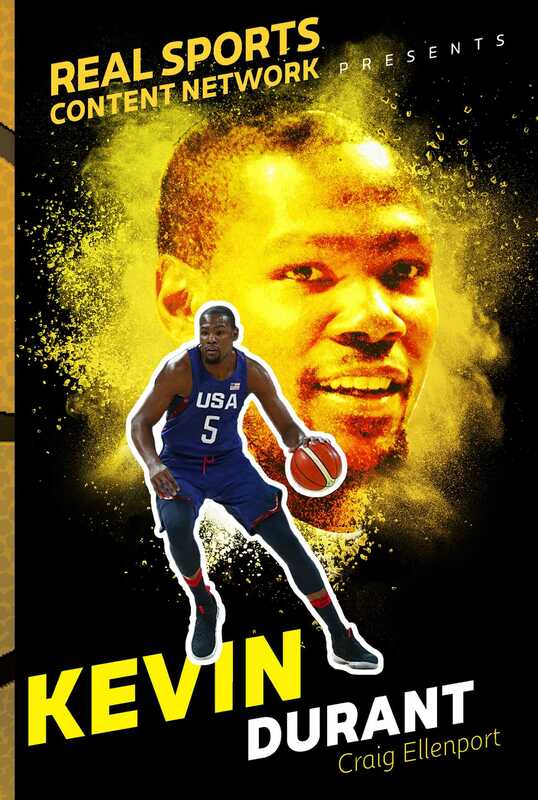 He’s Kevin Durant, and the NBA has never seen a player quite like him before. However, as impressive as the stats may be, what’s even more impressive is the journey that Kevin Durant took to come to the NBA. Born in a suburb of Washington, DC, Durant quickly discovered basketball as a way off of the dangerous streets and out of a life of laboring for little reward. But he also learned that if he wanted to make it as a professional, he would need to work—and work hard! Durant wasn’t afraid to do that and by high school he had become one of the best prospects in the thriving DC basketball scene. After a year of college, KD made the leap to the pros and he’s never looked back. Learn all about the childhood that put him on the path to success in this fascinating biography. Craig Ellenport is a sports journalist who has written more than a dozen books. During his thirty-year career, he has covered the NBA, NFL, NHL, MLB, college football, and tennis.